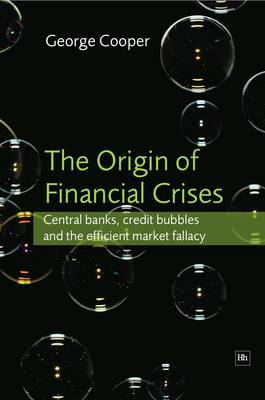 "The Origin of Financial Crises" provides a compelling analysis of the forces behind today's economic crisis. In a series of disarmingly simple arguments George Cooper challenges the core principles of today's economic orthodoxy, explaining why financial markets do not obey the efficient market principles described in today's economic textbooks but are instead inherently unstable and habitually crisis prone. The author describes the evolution of our modern monetary system, explaining along the way how financial instability emerged and why this instability required the development of central banking. Cooper claims that misguided faith in the power of free markets has led some central banks to neglect their core role of managing the financial system and instead caused them to pursue policies which promote a series of ever more violent boom-bust cycles. "The Origin of Financial Crises" calls for a radical shift in central bank strategy the abandonment of inflation targeting and a paradigm shift in our attitude to economic policy. Along the way the reader will learn about the fundamentals of inflation and discover what policy makers can learn from the designers of the Eurofighter jet. They will also learn how an obscure paper on steam engines, written in 1868, by the inventor of colour photography shows us how to avoid repeating recent monetary policy mistakes. Uniquely, "The Origin of Financial Crises" presents tangible policy proposals aimed at helping break out of the seemingly endless procession of damaging boom-bust cycles.